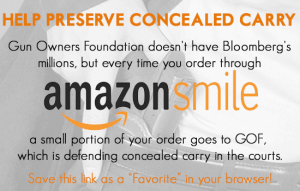 Constitutional Carry Now Goes to the Governor’s Desk! Call Gov. 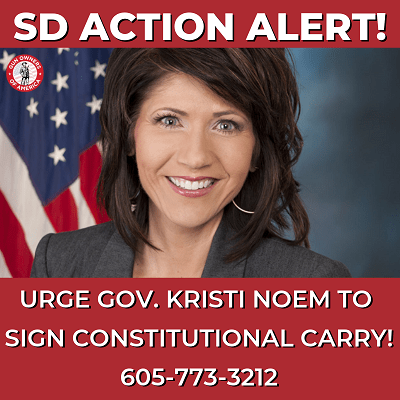 Kristi Noem at 605-773-3212 and urge her to sign SB 47, Constitutional Carry! The South Dakota legislature has passed Constitutional Carry! Now the bill will go to Gov. Kristi Noem’s desk. Please call her immediately at 605-773-3212 and urge her sign to SB 47, which is the Constitutional Carry bill. P.S. Please urge Gov. Noem to sign Constitutional Carry. And if you’ve let your membership lapse, make sure to renew your membership in Gun Owners of America today for only $20!